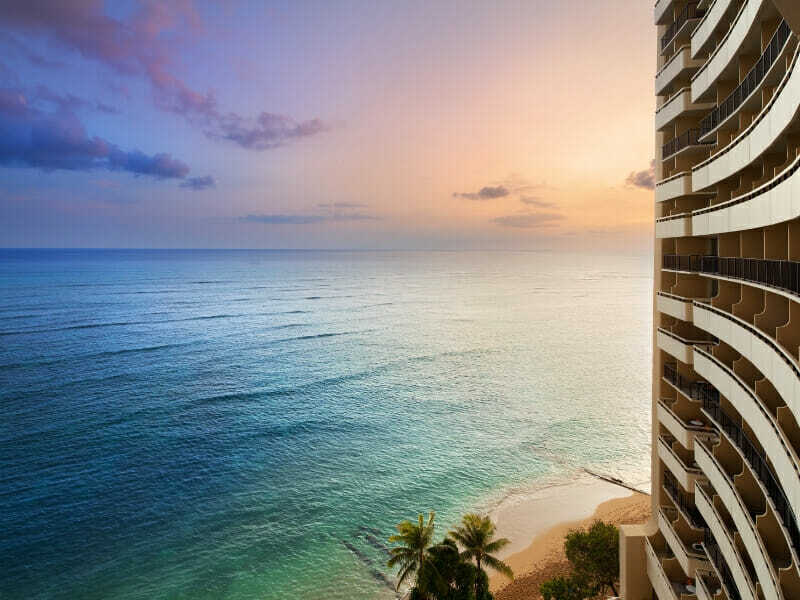 Survey the breathtaking views over world-famous Waikiki Beach and Diamond Head Crater from Sheraton Waikiki Hotel. 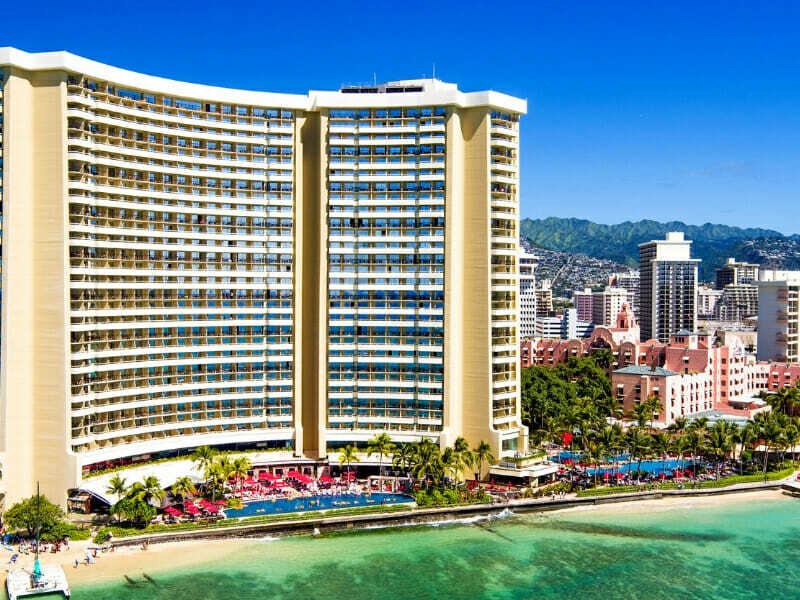 With central location for visiting Diamond Head, doing some souvenir shopping, attending a lu’au, riding the swells or just watching the waves lapping on the sandy beach, a stay at the Sheraton Waikiki Hotel offers something for everybody. 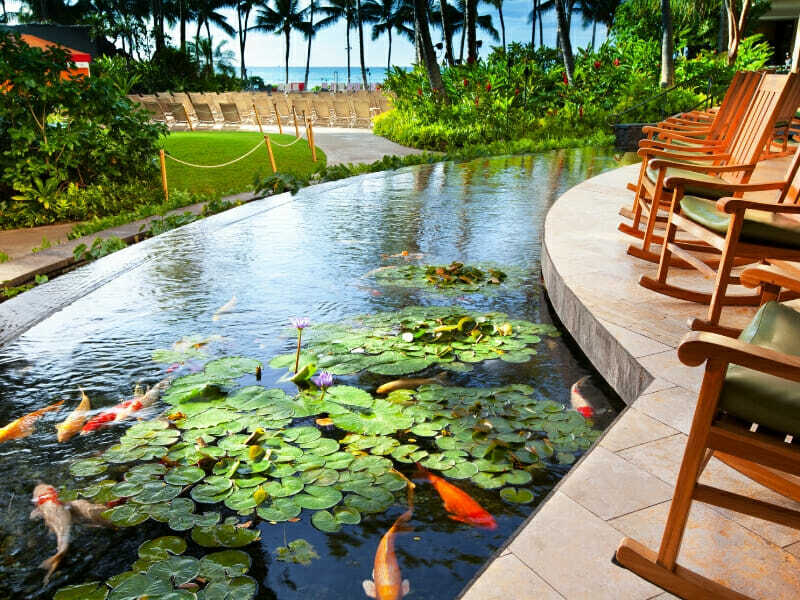 If beachfront luxury and phenomenal views are a must for your holiday, then Sheraton Waikiki Resort is for you! 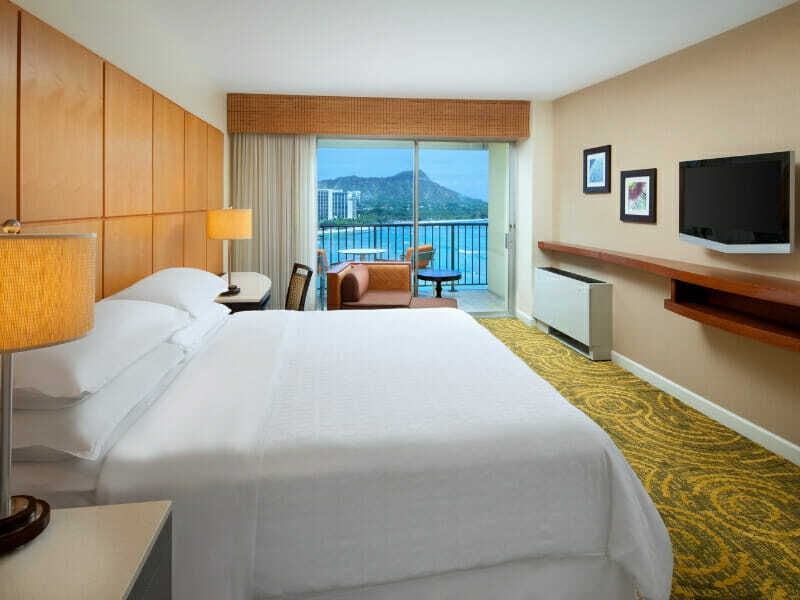 All the spacious rooms feature a balcony for you to enjoy the warm Hawaiian sun with over 80% offering a beautiful ocean view. This family-friendly resort features two swimming pools, a spa, fitness centre and a range of dining options offering something to tickle everyone’s tastebuds. 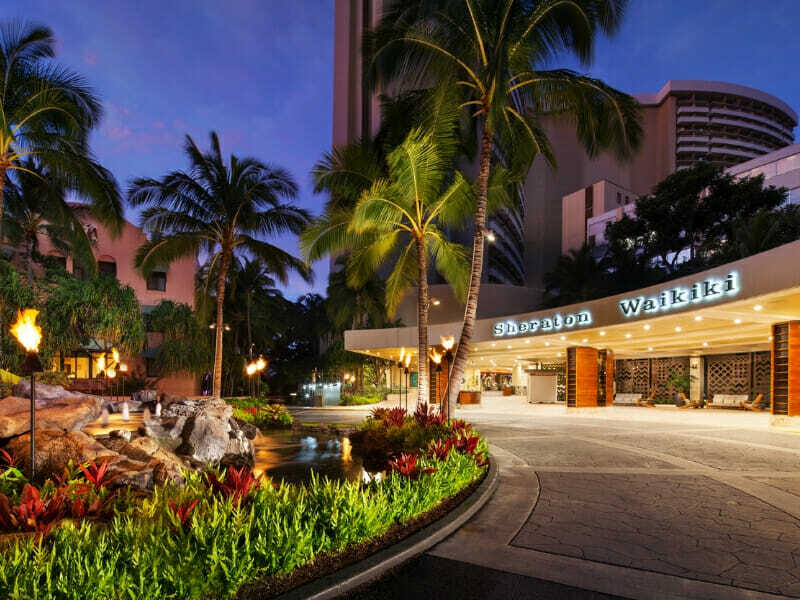 Located on the beachfront within walking distance of essentially everything you could possibly want or need, staying at Sheraton Waikiki provides an endless list of entertainment and activity opportunities for any kind of holiday maker. 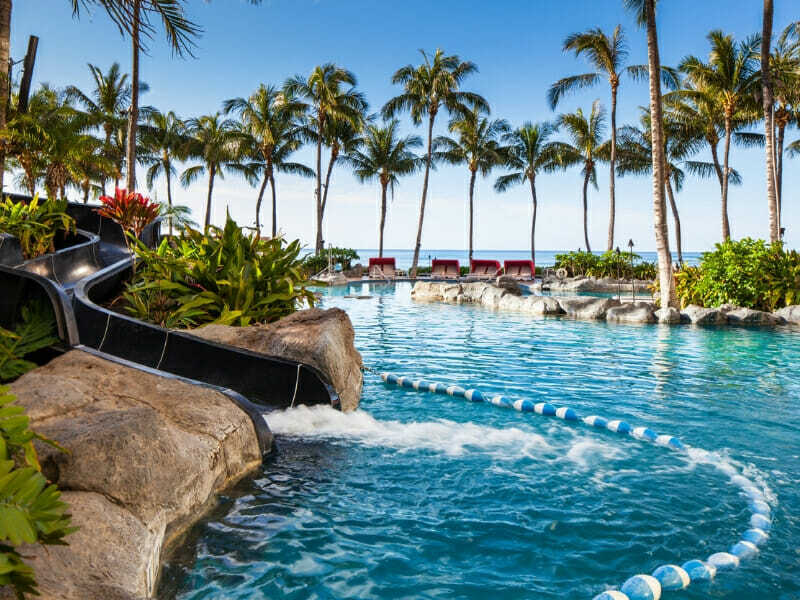 Families can enjoy a hassle-free holiday with a range of services and areas for kids including Poppins Keiki Hawaii Childcare and the Helumoa Playground with pools, water slide, food and beverage and pool toys. 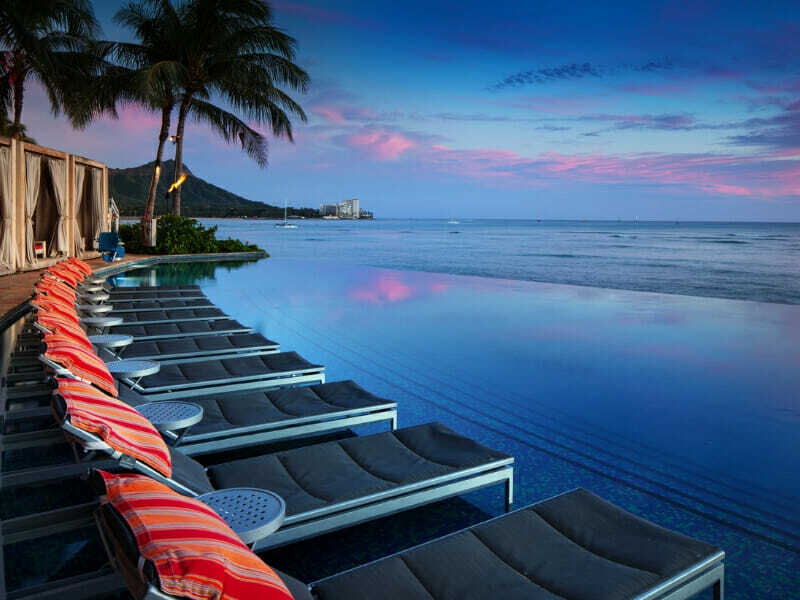 Guests that are 16 years and older can relax in the adult oasis, Edge of Waikiki, with the Infinity Edge pool, with poolside bar, that perceives a mirage effect where the pool and ocean appear to joined together. Relax and enjoy the blue waters of the Pacific from your private balcony. The luxurious room is complete with coffee and tea facilities, a LCD TV with cable and movie channels, Wi-Fi access and stylish and accommodating bathroom with deluxe full bath amenities. 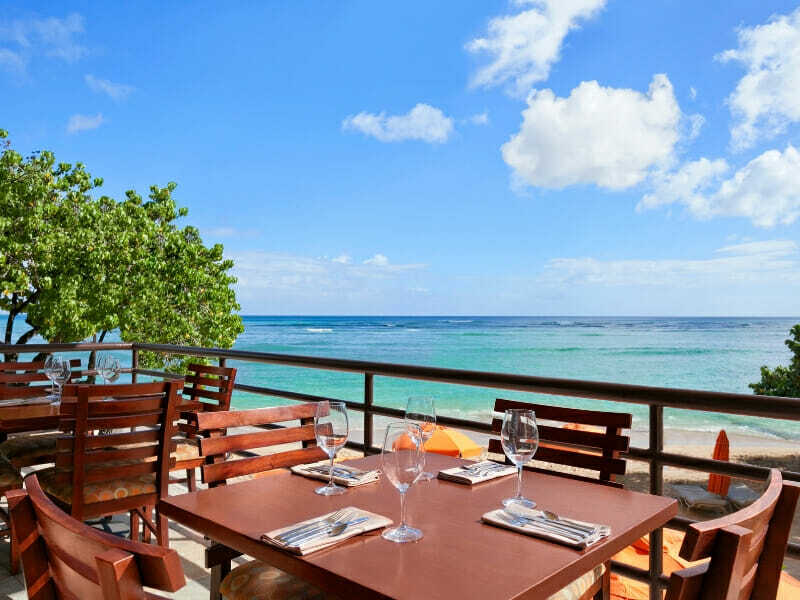 Get the best of land and sea with incredible views out toward Diamond Head and the ocean! Recline on your large bed with premium linens to enjoy the features of your room—watch cable or in-room movies on your LCD TV, stay connected with Wi-Fi access, make yourself a coffee or tea with the facilities provided, or prepare for the day in your well-appointed bathroom, complete with full bath amenities and a Toto washlet! 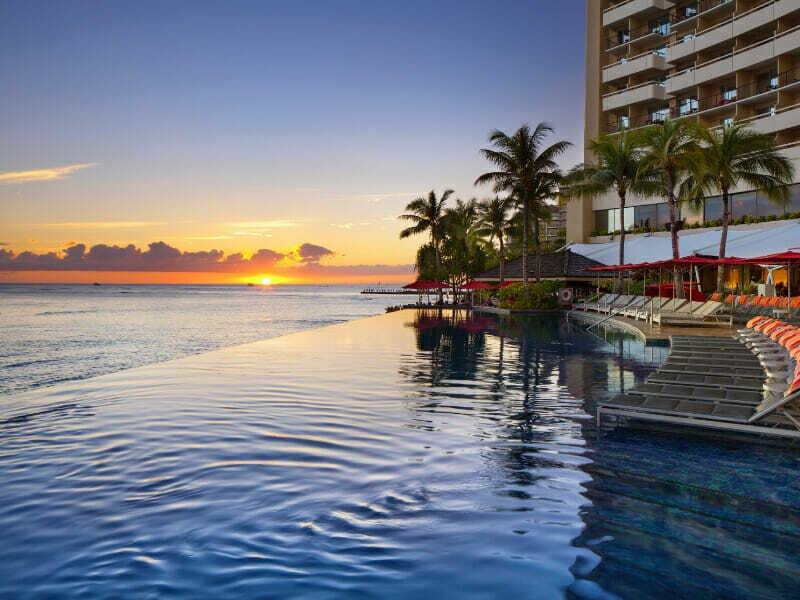 Sheraton Waikiki Hotel is set in the best location in Oahu offering uninterrupted ocean views and direct access to the white sandy beach of Waikiki. 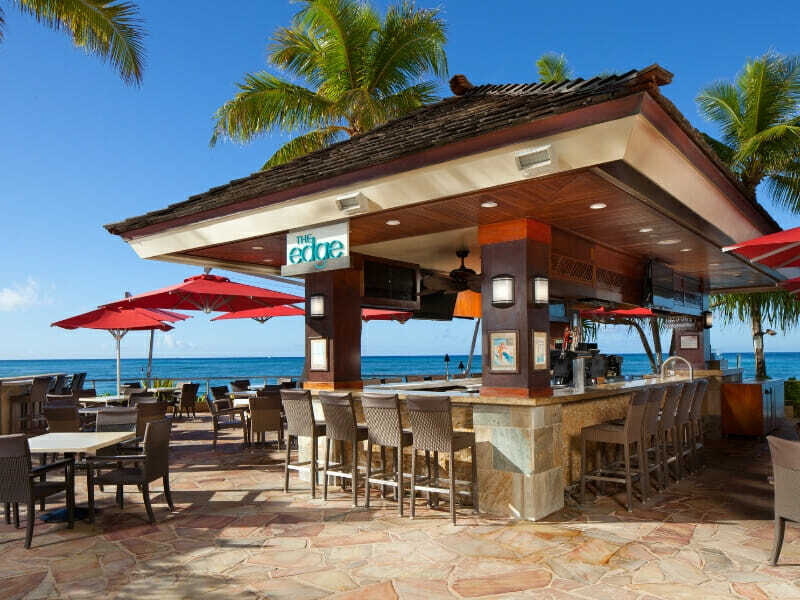 The resort is just a 25-minute drive from Honolulu International Airport and is within walking distance from live entertainment, restaurants, bars and shops in Waikiki. 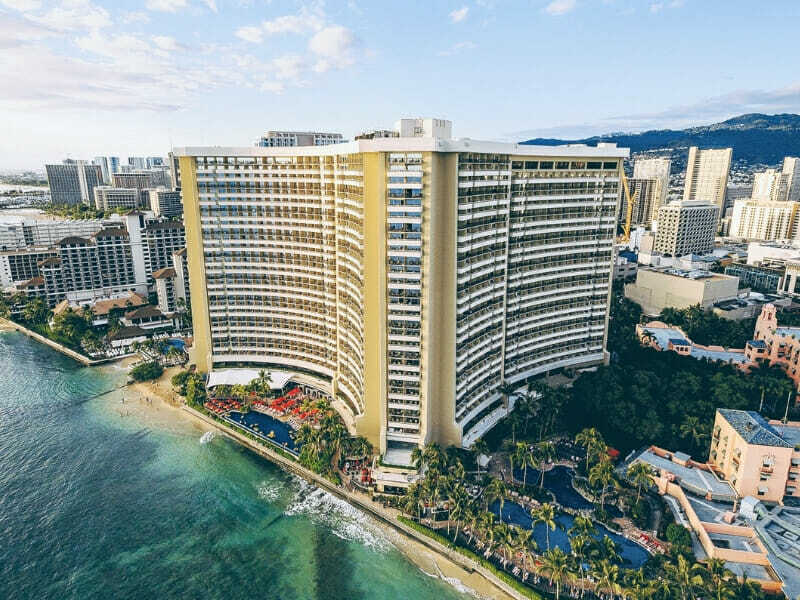 Whether you want to relax in the Hawaiian sun or take the kids on the ultimate Hawaiian adventure; learn about the Hawaiian culture or learn how to surf, you can do it all when you stay at Sheraton Waikiki Hotel. Centrally located, everything you need to make the most out of your holiday is just a short walk away. Go sightseeing and check out Pearl Harbour and explore historic sites and war monuments and museums or take a Circle Island Oahu tour to discover the entire island. Jump in the water and uncover what’s beneath the surface with a range of snorkelling tours or sign up for surf lessons with the Waikiki Beach Boys. Experience the Hawaiian culture first hand with the range of Lu’aus and shows around the island. 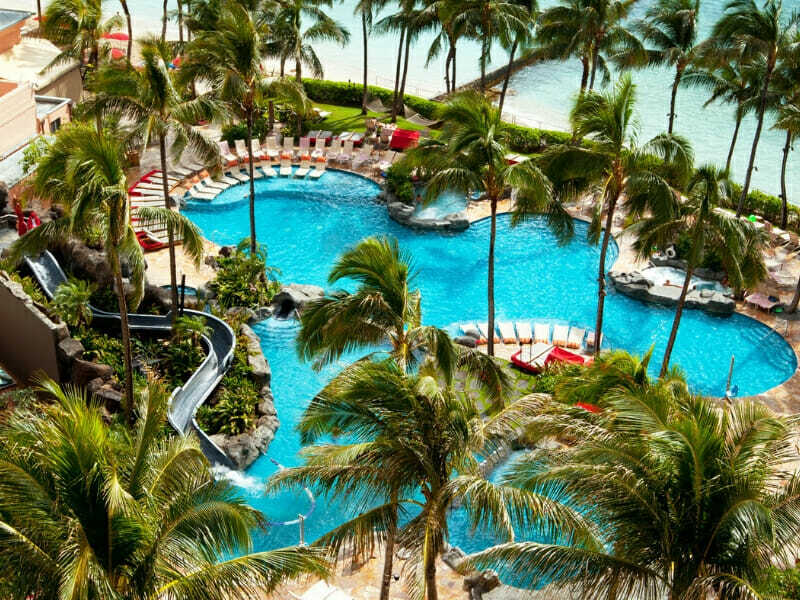 We could not be happier with our stay at Sheraton Waikiki! The hotel, location, staff, pools, food, beach front, etc. are superb! We had everything we needed and more at the hotel. Loved our ocean front view room. We would definitely stay here again on a return trip.